Are you thinking about buying an Airfree air purifier, but having a hard time trying to figure out which one to get? If so, we know exactly how you feel. 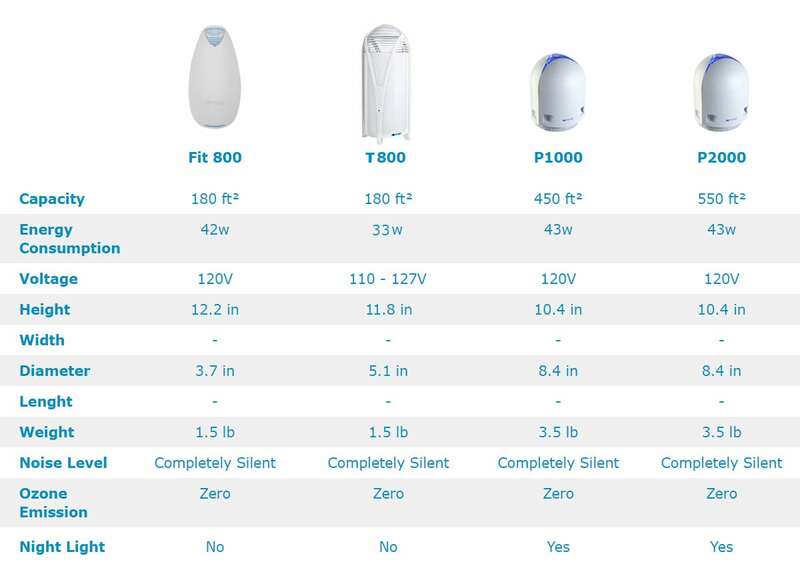 At first, trying to figure out what the pros and cons of each Airfree air sterilizer can be hard to do, but in this review we’ll shed light on how each of the company’s top eight air purifying products compares. What you’ll find below is free information on how each of the Airfree models are the same and how they’re different. By the end of this guide, you should have a clear idea on which air cleaner is best for your home or office. While you may think that trying to compare eight different air cleaner models would be a hassle, we assure that it’s really not that difficult in when it comes to Airfree products. In fact, what you’ll find with these Airfree models is that each one shares three key features in common. Regardless of the model you choose, you’ll enjoy these aspects listed below. Unlike other air purifiers that either rely on a HEPA filter or an ionizer to clean the air, Airfree devices use a patented Thermodynamic TSS Technology that eliminates microorganisms and allergens by destroying them at their core. Airfree air cleaners operate by drawing air from the room into the unit, heating it to over 400 ºF and instantly sterilizing it. The clean, purified air is then cooled inside the device before being pumped back into the room. What’s unique about this air cleaning process is that it doesn’t require any costly filters to replace or maintenance. All you have to do is turn the unit on and forget about it. Want more proof of on how effective these air cleaners really are? Numerous independent lab tests have been done to verify the air purification claims that Airfree makes. Take a look at the scientific tests to find out more. No matter which Airfree air purifier you decide to get, you can rest assured that it destroys mold, dust mites, bacteria, viruses, pollens, pet dander, tobacco and other organic allergens. Since all Airfree devices are filter-free and use the power of heat to clean the air within a room, there are literally no moving parts to create noise. 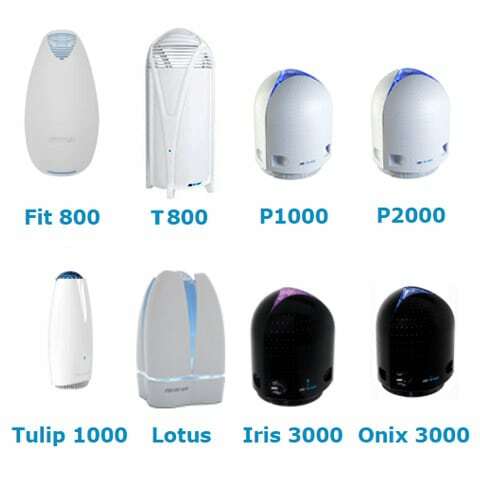 Therefore, every one of these air purifiers offers a completely silent operation. With no noise to contend with, these air sterilizers are an excellent choice for any room in your house, including a bedroom, living room or office. One of the major problems with a lot of competitor air cleaners is the fact that they can emit ozone as a by product of the air cleaning process. Air purifiers of this kind are built around a process called “ionization,” which emits negative ions into the air to purify it. Both ozone an ion emissions can cause health problems for some individuals that suffer from respiratory problems, including asthma and COPD. No matter which Airfree product you choose, you can feel confident that there are zero ozone or ion emissions, making it the healthiest air cleaning product on the market. Now that you know which features all of the Airfree models have in common, we’ll now point out how each one is different. This section should give you a clear idea on which model would be the best fit for your home or office. As we mentioned at the beginning of this guide, trying to decide between eight different air purifier models may at first seem a bit overwhelming. With eight variations there must be a lot that’s different between each one, right? In fact, the differences between each device are actually quite minimal. Just take a look at the next section to see for yourself. When it comes to Airfree air cleaners there are really only two questions you need to ask yourself before narrowing down which is the best product to buy. How large of an area (square footage) do you need to purify? Do you want a solid colored night light or multicolored night light? Aside from those two factors listed above, each Airfree device is identical in operation. The only other differences are the external design and price. The square footage coverage for these models ranges from 180-650 sq.ft., which gives you many options to find the right fit for your home. In regard to the night light feature, it’s a pretty basic operation. The unit comes with a blue light with the option to change the brightness level up or down, or completely off. Keep in mind that no matter how bright or dim the nightlight is, the product still sterilizes the air at its maximum efficiency. The night light is purely aesthetic. The multicolored night light option allows you to change the visible light color at the push of a button. The company claims that it helps create a more welcoming and inspiring environment, but we’ll let you decide on how important that feature is or not. Color choices for this feature include: red, orange, pink, white, violet, dark blue, blue, green, yellow and orange. As you can see, making a decision on which Airfree air purifier to get for your home or office is a lot simpler than you may have thought. When to products are arranged side by side like these, you can tell that there just aren’t that many striking differences. 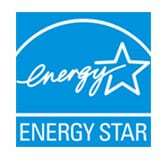 Airfree has made it very easy on consumers to make the best buying choice. The main difference you need to take into consideration when purchasing an Airfree air sterilizer is the size of the room that you wan to use it in. Once you figure that out, your options are narrowed down to a few devices. The Airfree Fit 800 or T 800 are the best choice for small spaces and are practically identical in specifications. Just decide which design you like best and go with it. The Airfree P1000, P2000 or Tulip 1000 are your best options for medium sized spaces. When deciding between these products, just ask yourself which design you like better: small oval shape or tower. Then figure out if you really care about having a the multicolored night light or not. 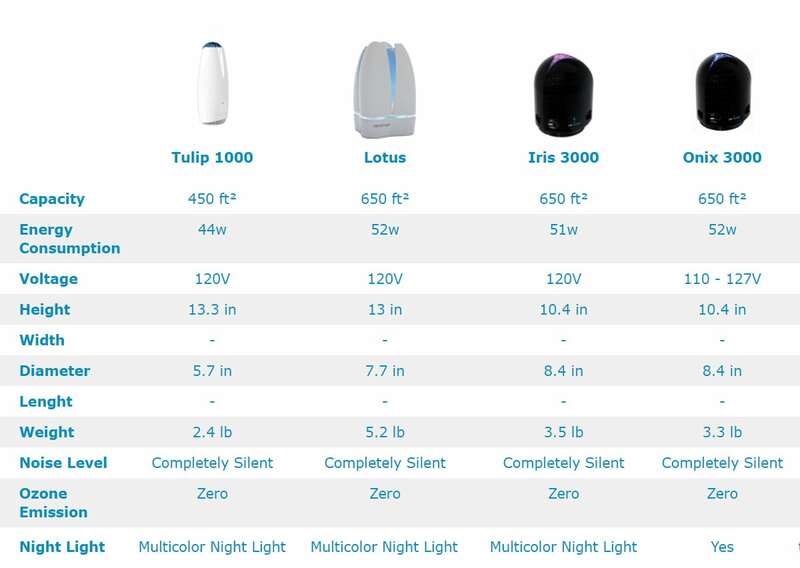 The Tulip 1000 has it, while the P1000 an P2000 just have the standard one color night light. For large rooms, the with the Lotus, Iris 3000 or Onix 3000. Here, the square footage coverage is the same for all three products (650 sq. ft.) The only differences include the design style and inclusion of a multicolored night light or not. 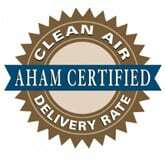 The choice shouldn’t be that difficult now that you know how each of these air cleaners compare.